Is there anything that says island paradise more than riding a horse through the surf? 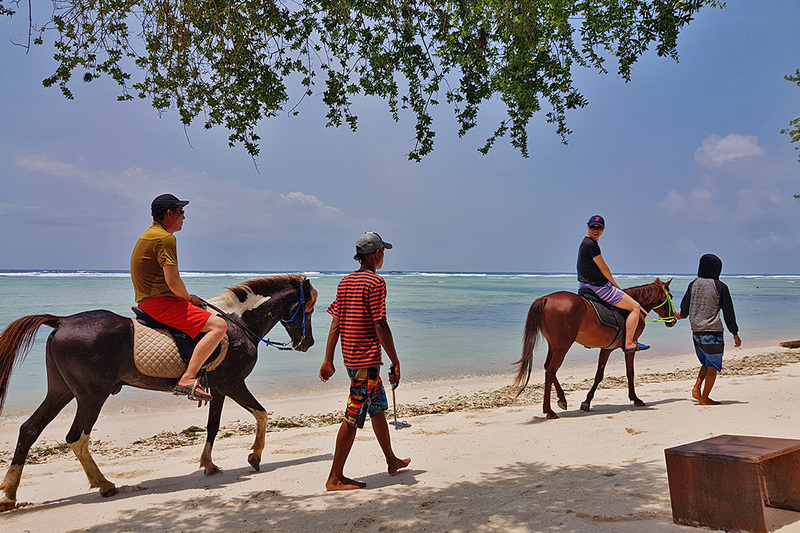 Beginners and experienced riders are welcomed to mount up and have a leisurely ride along the white sands of the island. The ride comes with a guide and lasts around 2 hours. This is a great activity for early morning or sunset time and in our opinion is one of the most romantic Gili Trawangan activities. Gili Trawangan is definitely one of the most photogenic places in Indonesia and makes for an amazing backdrop. Whether you’re an Instagrammer or you want to take photos for your family albums, Gili T is an incredible location for a photo shoot. Some of the best views of the whole island can be seen from Gili Trawangan Hill, which you can read more about here Climb Gili Trawangan Hill for the Best Views in Gili T. You’ll also want to get some stunning sunset shots and don’t forget the ocean swings that have popped up along the coastline. If you haven’t got your PADI certification yet or want to up your skill level, Gili Trawangan is a great place to start. Gangga Divers at Villa Almarik offers a number of different dive course options. If you’re a first-time diver you might want to start with a PADI Discover Scuba Diving course to test it out. If you decide after this half day course that you’d like to do more, your next step is the 2 day PADI Scuba Diver course. Indonesian food is delicious, but sometimes only an amazing wood-fired oven pizza will do. 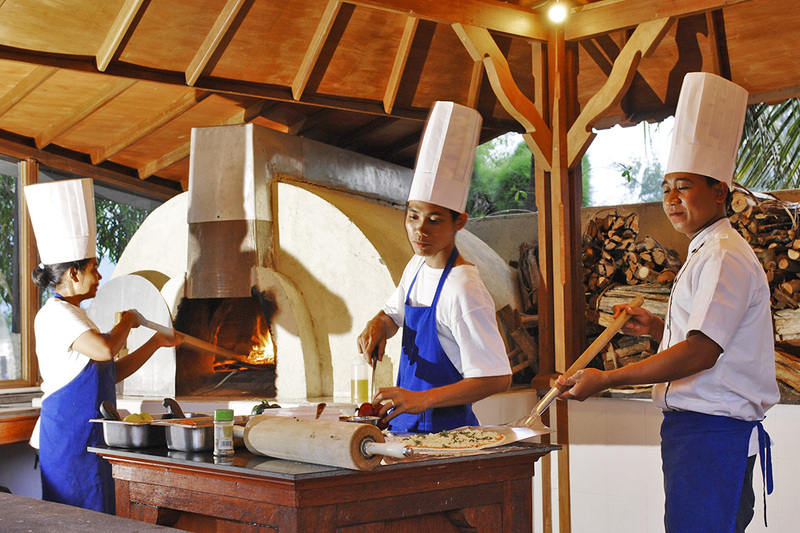 If filling lunch or romantic dinner is what you need Villa Almarik has hands-down the best pizza on Gili Trawangan. And the views from the restaurant are pretty awesome too. There are 7 species of sea turtles and Gili Trawangan is home to 2 of them. Critically endangers Hawksbills and Green turtles call Gili T home, making swimming with sea turtles one of the most unique Gili Trawangan activities. 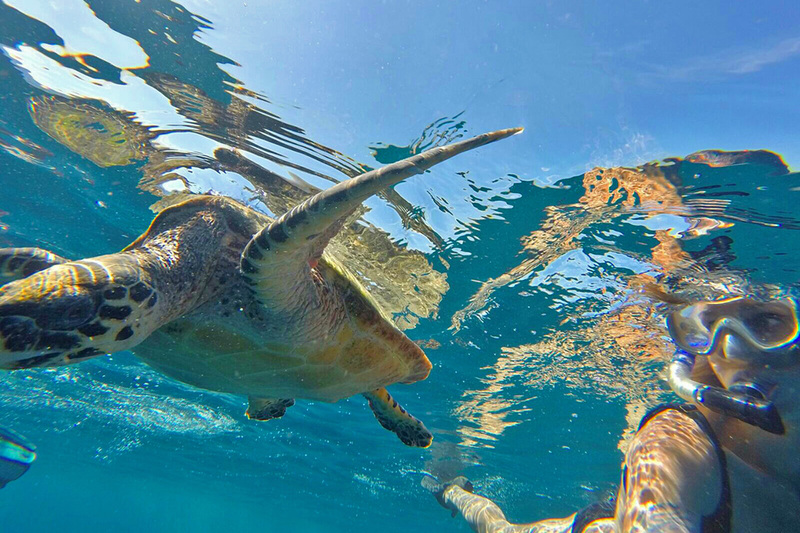 Sea turtles can be spotted all around the island, but one of the best spots is directly in front of Villa Almarik. You can walk straight into the water from the beach there and often find sea turtles. If you’d like more information about swimming with turtles and the conservation efforts on the island, click here Saving a Sea Turtle Paradise: Eco-Tourism and Conservation on Gili Trawangan. If you’re not relaxed enough with the island vibes, another must do Gili Trawangan activity is hitting the spa. Or you could even get a massage in your room at Villa Almarik. Traditional-style massages and beauty treatments will make you feel like the island god or goddess you always dreamed you’d be. The products filled with island smells like sandalwood, frangipani and jasmine will take you to another level of relaxation and allow you to really be in the moment. This in turn will ensure you make the most of every moment you have on Gili Trawangan. 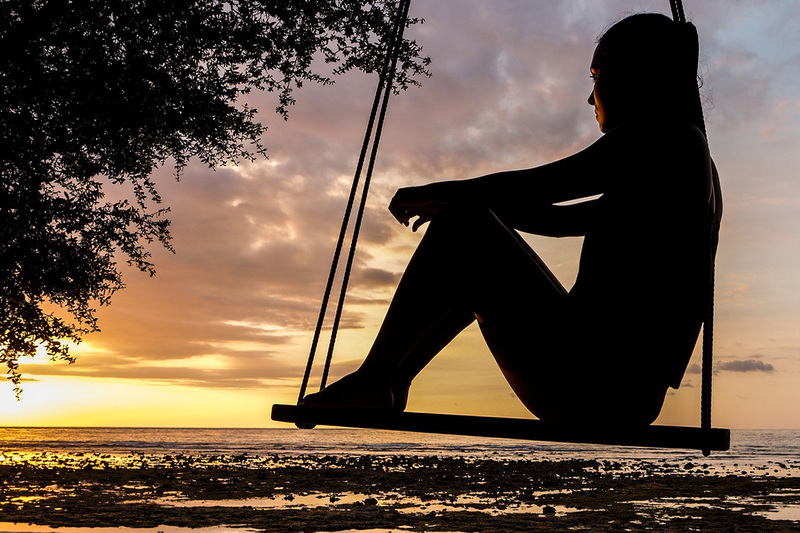 Your time on Gili Trawangan is special, so don’t do the exact same Gili Trawangan activities everyone else does. Do these activities sound good to you? Tell us what you really love to do when you’re on holiday in the comments below.